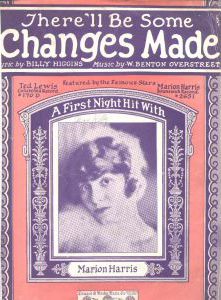 Born Mary Ellen Harrison, March 1897, in Vanderburgh County, Indiana (near but not in Henderson, Kentucky as commonly referenced - see editor’s note below), Marion Harris’ recording career began in 1916 with “I Ain’t Got Nobody Much” (“Much” was subsequently dropped from the song title) for Victor Records. 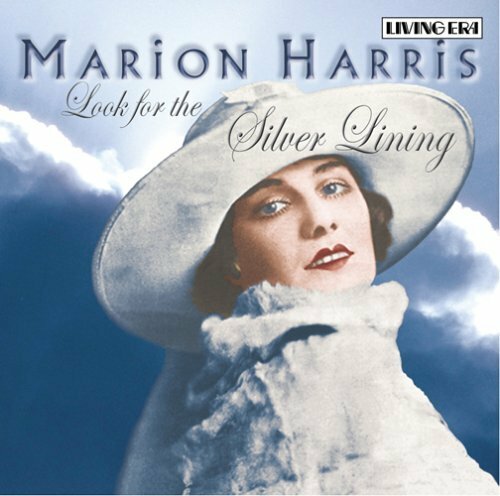 The songs that Marion Harris introduced or popularized include such standards as “After You’re Gone” (1918), “A Good Man Is Hard To Find” (1919), “Look For The Silver Lining” (1920), “I’m Nobody’s Baby” (1921), “Carolina In The Morning” (1922), “It Had To Be You” (1924), “Tea For Two” (1924), “I’ll See You In My Dreams” (1925) and “The Man I Love” (1927) just to name a few. 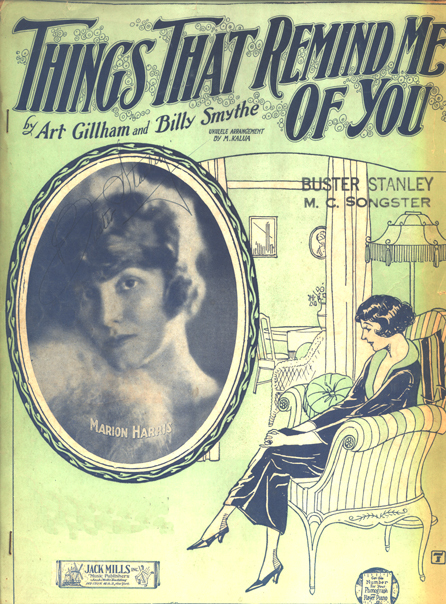 In 1910 a 13-year old Mary Ellen and her mother, Gertrude Harrison, a stenographer, were living near Kansas City, Missouri. Mary Ellen’s father James was not with them at the time leading to speculation that he has died before their move to Missouri or the parents were divorced so mother and daughter moved on. 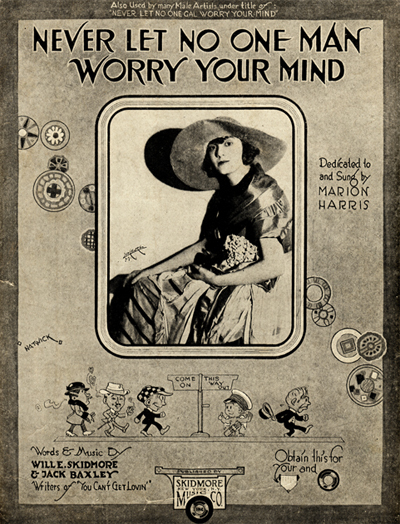 Miss Harris (sometimes mistakenly spelled “Marian” Harris - click on “Sweet Daddy” sheet music to the right for example) begin her career in the 1910’s by singing with colored slides used by motion picture houses of the day. She was discovered by the famous Fred Astaire mentor, dancer Vernon Castle. She was brought to New York by Broadway producer Charles Dillingham and opened in his production of “Stop! Look! Listen!” [Ed. : unable to verify]. 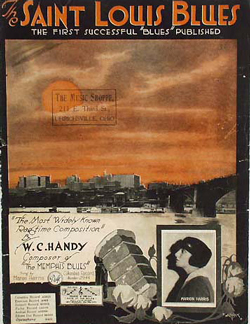 After three years of recording with Victor from 1916 to 1919, Miss Harris left for Columbia Records recording there from 1920 to 1922. 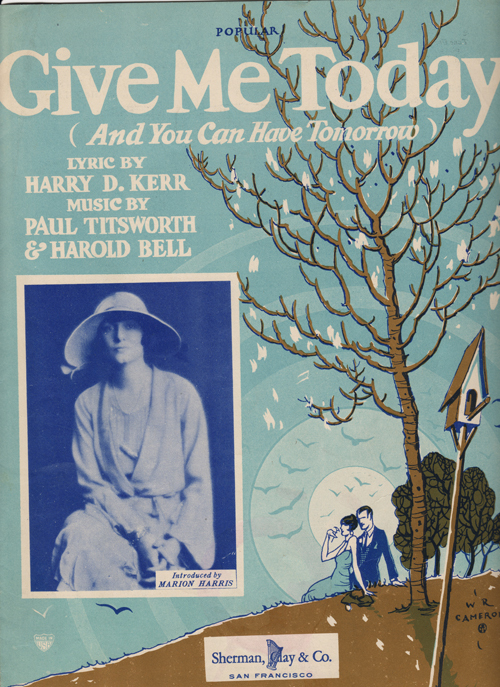 In late 1922 Marion Harris went to Brunswick Records and remained with Brunswick until 1930. 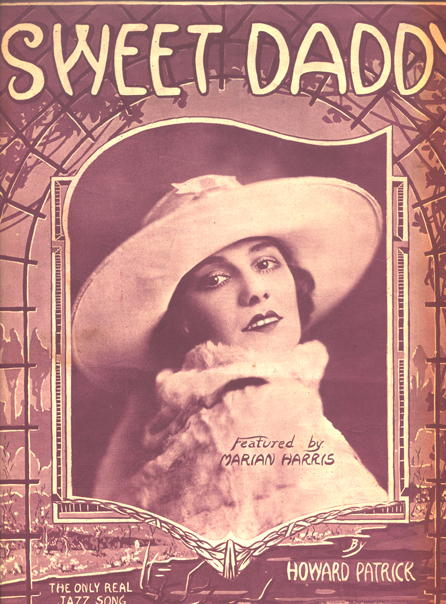 From 1931 to 1934 Miss Harris recorded for Columbia Records in London producing her last side, the appropriately titled “Singin’ The Blues” (Decca F-5160). 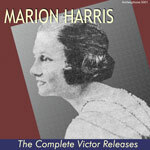 A very popular singer in the 1920’s, Marion Harris recorded into the 1930’s with over 130 recordings to her credit. She performed with the Isham Jones Orchestra and at the Cafe de Paris in London in the early 1930’s. 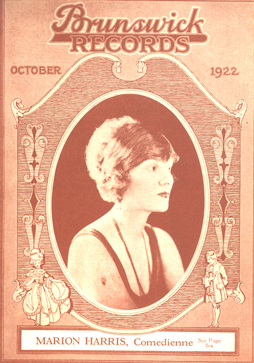 Marion became a very popular vaudeville performer playing numerous engagements at the Palace in New York during the 1920’s. 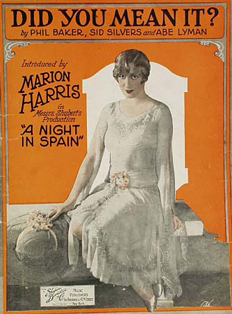 In 1927 Marion could be seen in Broadway productions of “Yours Truly” and “A Night In Spain”. 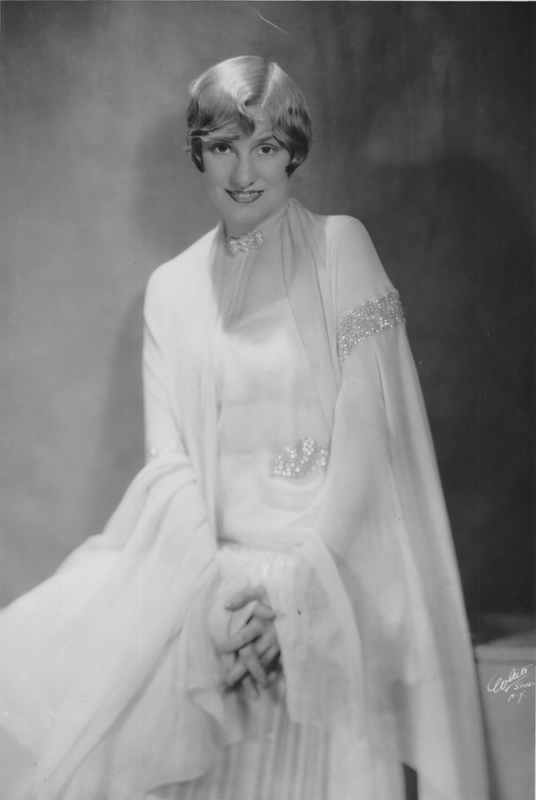 Marion made numerous appearances at the Palace in New York during 1926 to 1931. 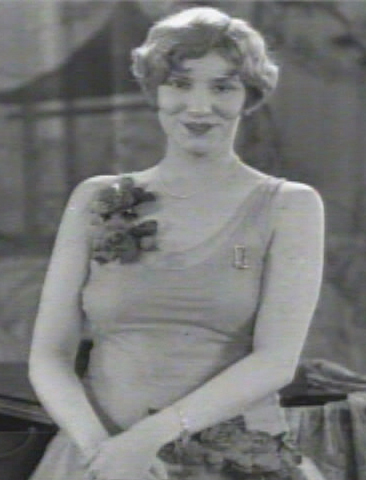 In 1929 she sang Vincent Youman’s “More Than You Know” in the musical play “Great Day” which opened in Philadelphia. 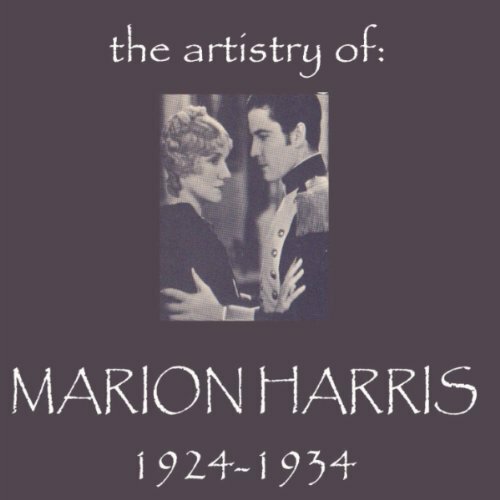 Marion Harris’ first husband was actor Robert Williams (1897-1931) who starred opposite of Jean Harlow and Loretta Young in “Platinum Blonde”. 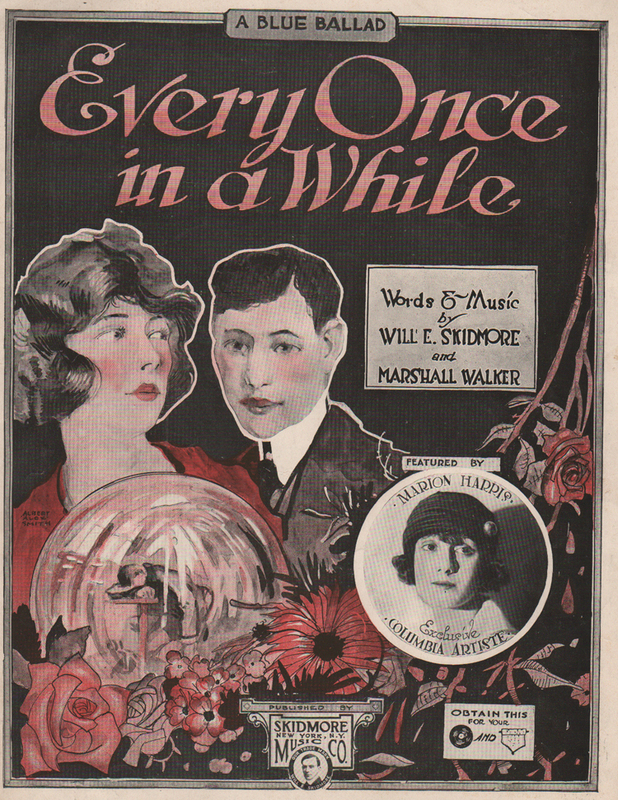 A gifted actor with great potential, Williams died after an appendicitis operation just three days after the film was released. This union produced a daughter, Marilyn (Mary Ellen) Williams, who had a singing, acting career in the late 1940’s and early 1950’s billed as “Marion Harris, Jr.”. 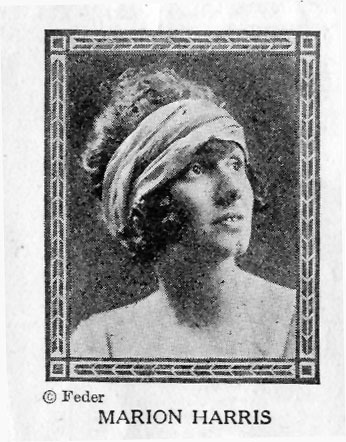 Marion Harris was married in 1923 to Rush Bissell Hughes, son of Rupert Hughes, the famous novelist and playwright (and uncle of Howard Hughes). Together they had one child Rush, Jr. 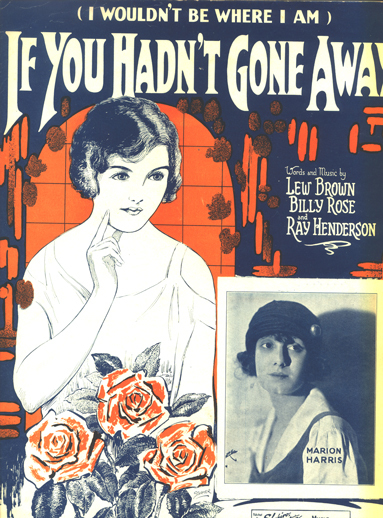 They divorced in 1928 following allegations in May 1927 involving a sixteen-year-old chorus girl Adele Smith who accused Rush Hughes of attacking her at the Hughes’ home in Long Island. Miss Smith had a part in the Broadway play “Yours Truly” along with Marion Harris. Rush Hughes was later acquitted by a grand jury but this event took its toll on their marriage. Divorce was granted on January 5, 1928 in Chicago. Custody of their two-year-old son, Rush Jr., was granted to Miss Harris. 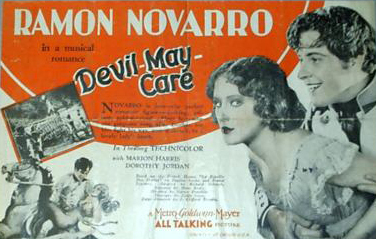 In 1929 Marion Harris plays Ramon Novarro’s cousin in “Devil-May-Care” her first and only full-length motion picture. 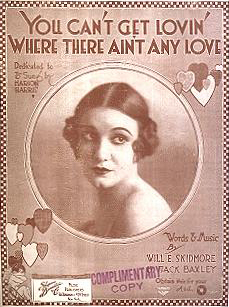 During this same time period she also did a MGM Movietone short “Song Bird of Jazz” featuring two songs “Afraid of You” (click here to play) and “We Love It”. 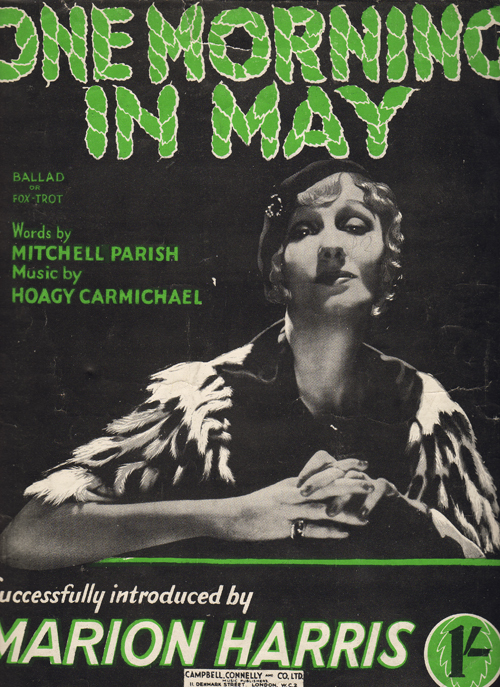 During World War II Miss Harris was living in London with her theatrical agent husband Leonard Urry. She was bombed out of her home in London. She returned back to New York and was a patient at the Neurological Institute a few weeks before she death. 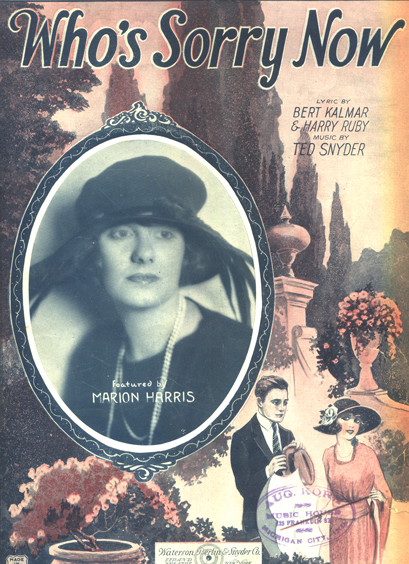 Marion Harris died on April 23, 1944 at the Hotel Le Marquis, 12 East Thirty-first Street in New York. She had gone to bed with a lit cigarette that ignited her bed. 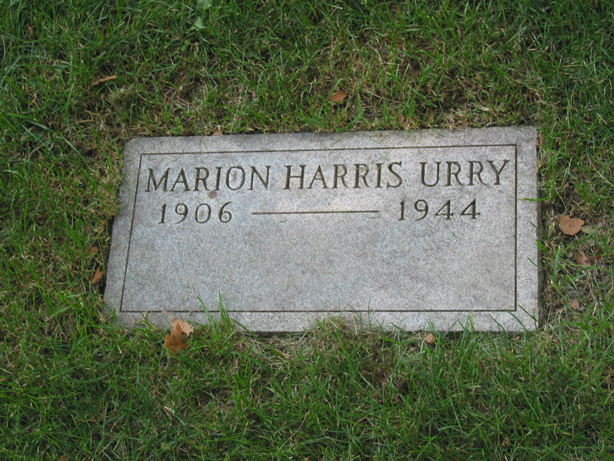 Today Marion Harris rests in the Actors Fund of America section of Kensico Cemetery (grave 855), Valhalla, New York as “Marion Harris Urry”. Note the incorrect “1906” birth year on her headstone. 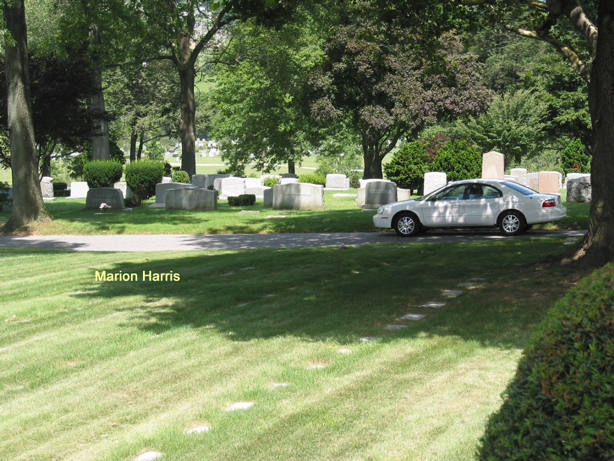 Marion’s is just one of hundreds of non-descript headstones neatly lined-up in rows of forgotten theater people. Broadway comedienne Fay Templeton occupies an adjacent grave. Nearby lies Sergei Rachmaninoff. The cemetery is also home to Lou Gerhig, Tommy Dorsey, Danny Kaye, and Flo Ziegfeld. 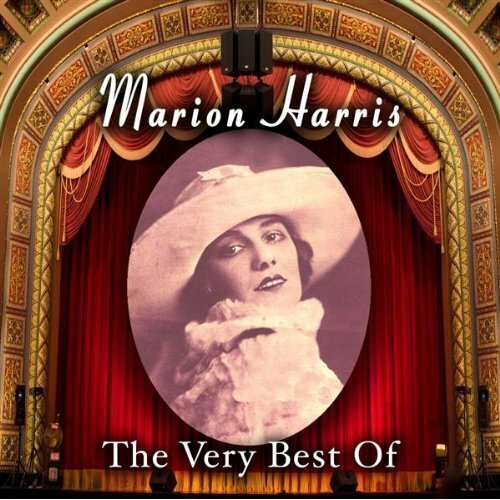 Marion Harris is yet another unsung, forgotten star of the stage and popular songstress of the 1920’s. Listeners to her recordings today will find her voice and phrasing unparalleled by other stars of the era. Research is currently underway to find the birthplace and early beginnings of Marion Harris. This is made difficult by the lack of reliable and verifiable sources for her birth. Some sources say that she was born in the Henderson area of Kentucky. People who have researched the birth records there say that there is no evidence of her birth or beginnings in Henderson. 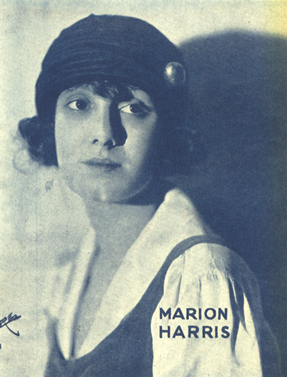 However, research indicates that Marion Harris was born Mary Ellen Harrison in Indiana (Source: 1900 Federal census for Pigeon Township, Vanderburgh County, Indiana). Some sources have her as the granddaughter or grandniece of President Benjamin Harrison or a non-existent Kentucky Senator or congressman named “Harrison”. 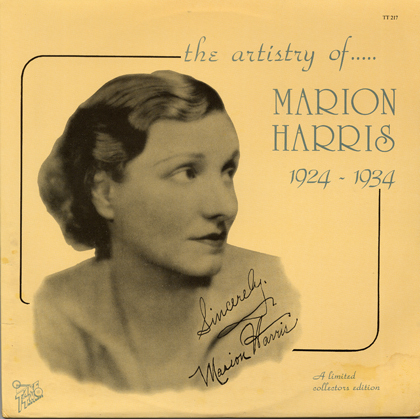 All of this is probably due to the early efforts of the record company executives to enhance Marion Harris’ possibly meager beginnings. If anyone reading this has credible facts about Miss Harris and/or her children and their descendants, do not hesitate to email me.